Almost all family members don’t suggest for taking fast a pregnant mother in Ramadan month. That time everyone feel tension for mother and coming baby. Today we will share with you some suggestions and tips given by medical experts. They said, there are no problems at all for pregnant women to take fast during Ramadan if she is not restricted by doctor. SEE ALSO: 10 Pregnancy Exercises And Tips For Normal Delivery. Here are some suggestions and tips for fasting during pregnancy third trimester. 1. This is time for vomiting. If you feel you can be vomiting anytime then stop taking your fast. 2. If you feel your baby doesn’t moving in your womb during fasting then it is recommended to stop your fasting. 3. If you feel or have any critical physical sickness during pregnancy then it is also advised to do not take fast. 4. At last, be care about everything and consult with a Gynecology doctor if you really want to take Ramadan fast and follow her instructions. Note that, these suggestions are allowed on fasting during pregnancy in Islam. READ ALSO: How To Manage Office And Children Together? 1. Drink huge fresh water at sehri night. Here huge means balanced. DON’T drink too much water that can be makes you uncomfortable. 2. You can also drink lemon juice with sugar and salt. 3. If you don’t like any juice then drink some Glucose mixed water. This will be better for you. 4. Don’t forget to drink a glass of milk. 5. Eat some fruits, bread and homemade foods instead of eating any types of fried food in Iftar time. 6. If you take medicines then follow the below routine. ● Take day time medicines at mid night if you take your medicines only one time in a day. ● Take day time medicines after iftar time and take night time medicines at mid night if you take your medicines twice in a day. 7. Eat meat, egg and fish in a certain amount at mid night. You can ask to your doctor for a ramadan routine. The above information only based on general suggestions by experts, but our recommendations are consulting with a doctor and go as per her instructions. If fasting can be cause any risk for unborn baby or mother, please don’t fast during holy Ramadan. 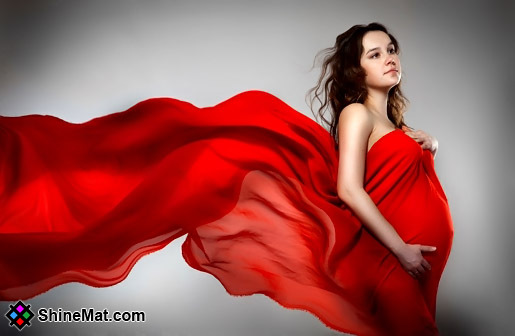 Hope your upcoming baby will be good, cute and risk free. Stay good and smile. Allah Hafez.